Kristin has over 20 years of experience in mental health and addictions treatment. She has a Master’s Degree in Marriage and Family Therapy, a degree in Natural Therapeutics, and is a Reiki Master. She has a holistic and empowering approach to treatment and enjoys working with individuals of all ages, couples, and various configurations of families. 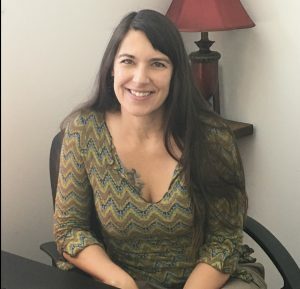 She runs the Intensive Outpatient Program for substance abuse with dual diagnosis at Aloha. She is a Clinical Member of the American Association for Marriage and Family Therapy. Kristin also practices EMDR therapy for trauma patients. Kristin is originally from Eastern Tennessee and most recently moved from Taos, New Mexico where she was the clinical director of an inpatient dual diagnosis treatment facility. She is active in many outdoor activities and is currently a volunteer with the Ogden Area Amateur Radio Emergency Services.